Last year G and I built a car for the Awana Grand Prix. It was a good bonding experience for us, which I think is the point. I involved her in the process as much as I could. It is supposed to be her car. I did all the dangerous cutting work and she did most all the painting. She also made most of the design decisions. Overall I would say that it was a fair collaboration. I also did the best I could to teach her the physics of how to make her car go fast, what kinds of things would slow her car down, and how to overcome them. 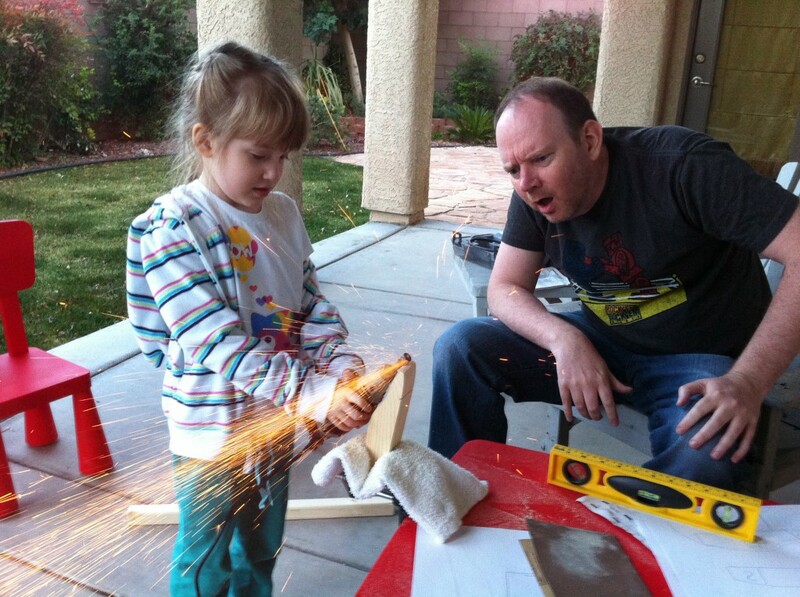 Gillian works on her awana grand prix car with a high speed dremel. An R2D2 isn’t an R2D2 without the iconic dome. Ours finally arrived before the new year. In addition to being a very cool piece, it also represents a decent portion of work that needs to be done on the droid. If you think about it, most of the personality and expression from R2D2 comes from his dome. The eyes, the holo projectors, the lights, and the spinning around to “look” at things. The dome comes in several pieces. 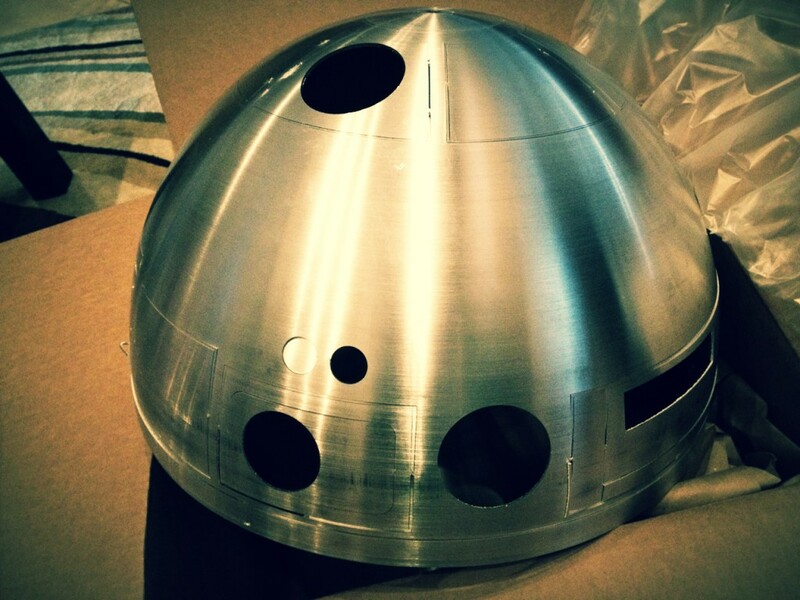 There is an outer dome, which has been laser cut for “easier” removal of all the panels, and an inner dome which comes uncut and must be manually cut if desired. Eventually the two domes are bonded together to create the beveled look that is so familiar. The R2D2 dome right out of the box.